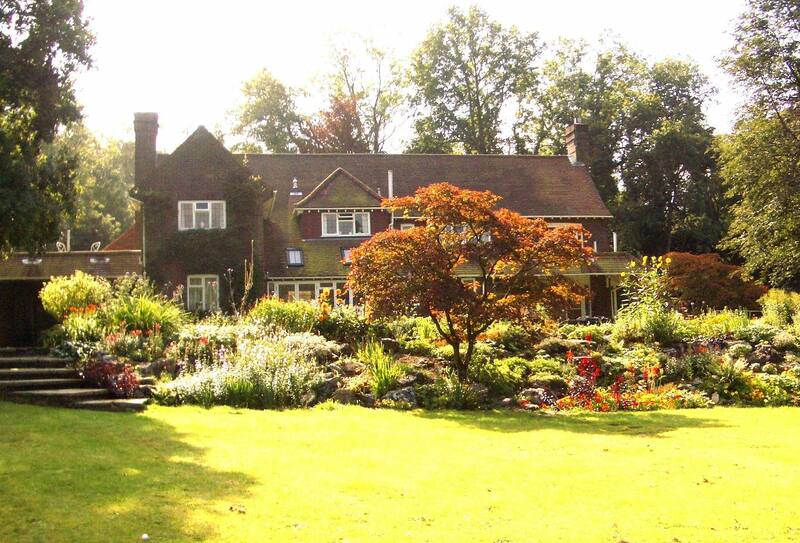 Spacious, elegant flat with lovely views and garden, in an Area of Outstanding Natural Beauty. 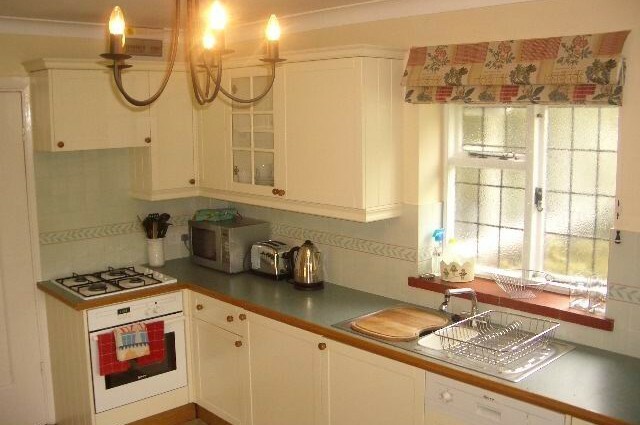 Direct access to footpaths and bridleways leading to vast expanses of NT property. Cycling, riding and fishing available locally. Pretty village with a bakers, postoffice and three pubs. Near Dorking, with a 45-minute train journey to London. 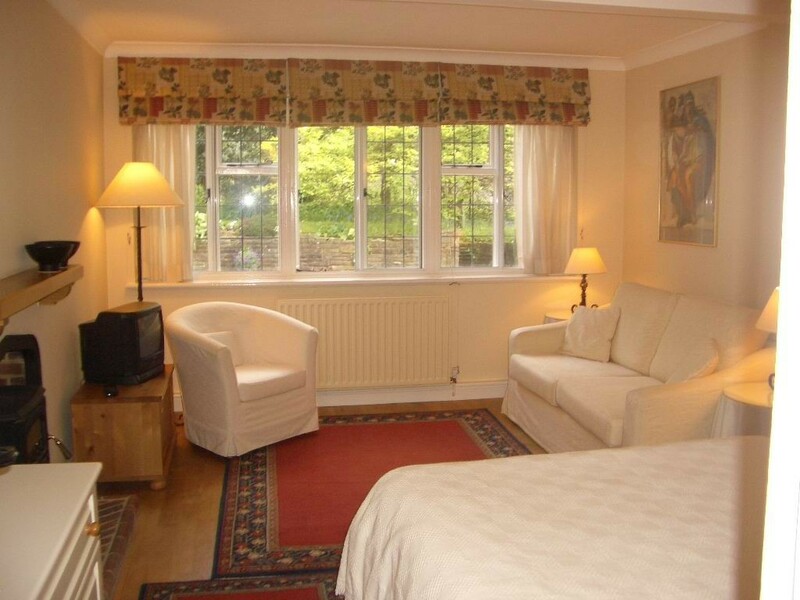 Convenient for Guildford, M25, Gatwick & Heathrow airports. The flat has a large kitchen/dining room with lovely views across the garden (and lake, Autumn to Spring) to the North Downs. 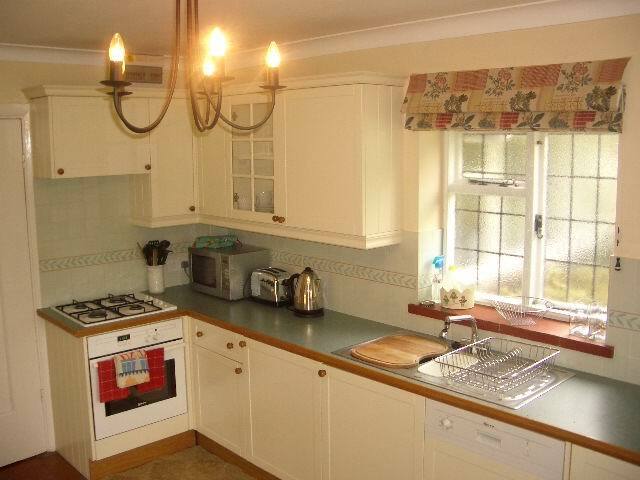 The kitchen is fully equipped and includes a induction hob, electric fan oven, extractor hood, microwave, fridge with freezer box, dishwasher & electronic washer/drier. The floor is polished, old terracotta tiles with rush and jute mats. The kitchen opens on to a verandah also with lovely garden views and is equipped with wellington and walking boot racks, ring for securing bikes and a table and six chairs with a pendant lantern. 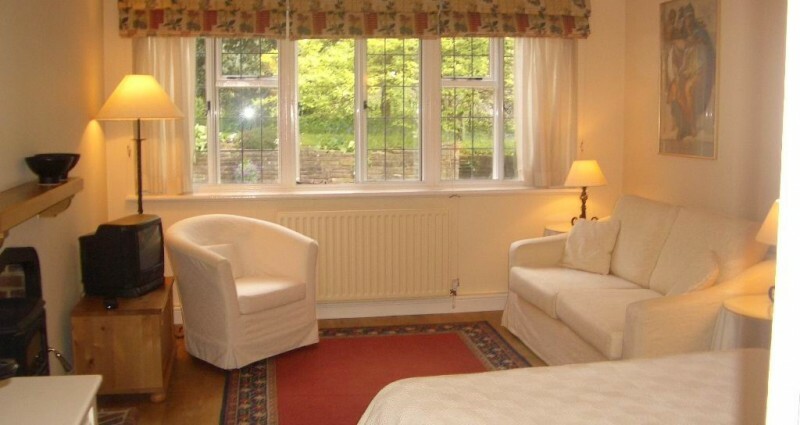 The bed/sitting room is spacious and sunny. It is furnished with a double bed, large sofa bed, easy chair; gas fired stove in a traditional fireplace, chest of drawers, occasional tables and Freesat television with Humax storage and DVD player. The floor is solid blond oak with large rugs. There is a small dressing room with a wardrobe, chest of drawers and large mirror. The bathroom has a full-size bath with an Aqualisa shower, low level flush lavatory, basin and Myson towel rail. There is direct access from the grounds of the house to footpaths and bridleways. There are vast tracks of National Trust property in the area (including Ranmore, Box Hill and Leith Hill) and a very extensive network of paths and byways. Bike hire, horse riding and fishing can all be arranged locally. Westcott is a very pretty village and there are many other lovely villages a short drive, cycle (or even walk) away, several with good teashops and pubs. The village has a bakers, general store & post office. Westcott is a short distance from Dorking, with a 45-minute (approx.) train journey to London and good local shops. Guildford is 10 miles, 15/20 minutes away, with extensive shopping and train services to London. The M25 is also 10 miles away. The coast and London are about 1-hour’s distance by car out of the main rush hour. The expanding business districts in Reigate, Redhill, Leatherhead and Crawley are all a short distance by car. Gatwick Airport is 20 minutes and Heathrow 45 minutes away.